American Heritage School is pleased to offer students the Honors Legal StudiesProgram. This program challenges ninth through twelfth grade students who have an interest in the law and encourages students to consider the legal field as a potential profession. The program is taught at the honors level and exposes students to unique and challenging courses not usually offered in high school. In addition, the Honors Legal Studies Program emphasizes writing and communication skills which are important for all students, but essential to those interested in the practice of law. In addition to course work, there are internships offered to upperclassmen, which include the offices of the State Attorney, Public Defender, county and circuit judges, and private attorneys. These experiences lend students unique insight into the legal system. Students must meet the admission and academic requirements of the Legal Studies Program. 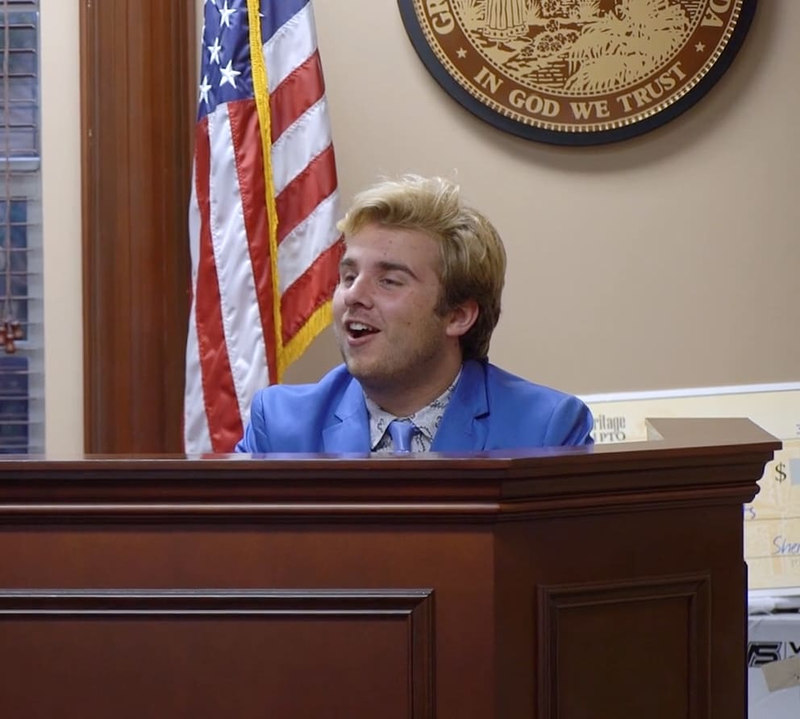 American Heritage School sponsors a Mock Trial Team as part of the Legal Studies Program. The team competes with other student teams from throughout the region, the state, and, when successful in competition, other areas of the country. Competing teams are given a legal case for which they must be prepared to testify as witnesses in open court. Some students are assigned roles as attorneys and must be prepared to give opening and closing statements, as well as direct and cross examinations. Students are trained in the rules of evidence and courtroom procedure. Interested students meet in two hour segments, usually twice weekly in the school’s mock courtroom. They are advised and supervised by an experienced and respected area attorney. In order to complete the Law Studies Program, students must take a total of 5.5 credits. The requirements are listed below. In order to remain in the program, students must maintain a 3.75 GPA in all Law Studies classes. *Enrollment in Evidence and Trial Advocacy is limited to students who are recommended by the Program Director. Business Law is prerequisite for ALL Law Studies courses. A “B” or higher in Business Law is required to continue with the program. Evidence and Trial Advocacy must be taken in the same year.